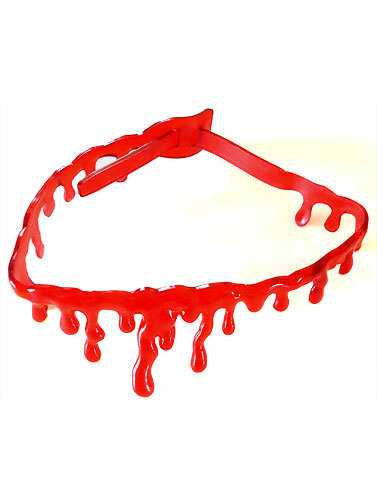 Bleeding Rubber Necklace will add the macabre look of a slashed neck to your Halloween costume. 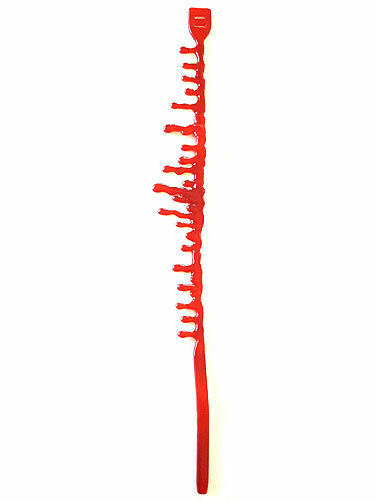 Red rubber necklace has been molded in the shape of drips of blood and is adjustable. One size fits most. Bleeding Rubber Necklace measures 16.5"L.